With a 5% population increase since 200, Middle River, Maryland is a town on the rise. And with a name like Middle River, you know there are more than a few waterfront properties. In fact, this is one of the big draws of the area: affordable waterfront real estate. But no waterfront property is complete without a way to enjoy the view. No waterfront property is complete without a deck. When it comes to decking for a waterfront property, not just any deck will do. You need a deck specifically designed to help maximize your view. After all, the view is one of the primary things that drew you to your home. You need a waterfront deck. With 40 years of experience, Freedom Fence and Home has provided the highest quality fence and decking services to its many residential and commercial clients throughout Maryland. Our crews are highly trained and ready to help. Freedom Fence and home has successfully completed hundreds of waterfront decking jobs throughout Middle River and the surrounding areas. Our waterfront decking options are perfect for new construction, retrofits, or remodels. Decking is decking: plain and simple. The only real difference between waterfront decking and traditional decking is the railings. The body of the deck is constructed using the same high-quality wood or composite (recommended for waterfront homes) materials you are used to, but the railings are a bit different. 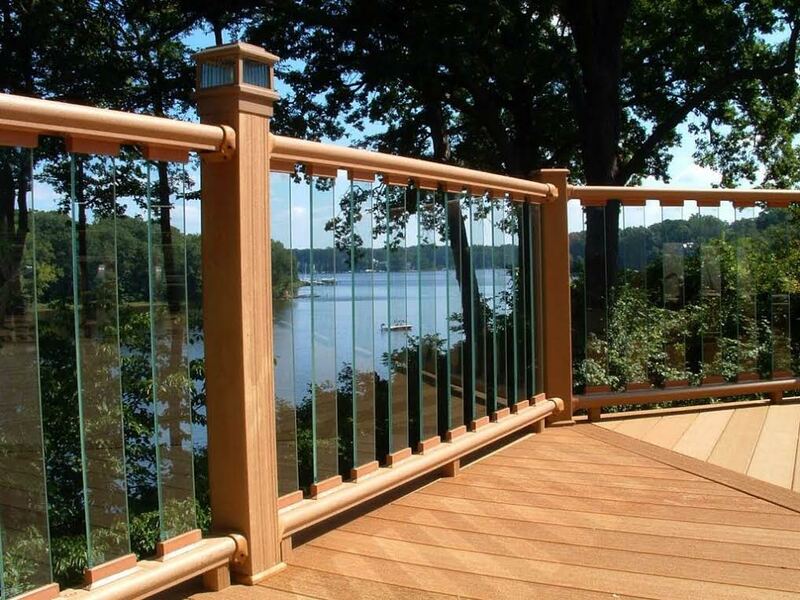 Instead of wood or composite railings with solid posts (obscuring your view), waterfront decks feature railings made of either long lasting aluminum alloy posts with tempered glass panels, stainless steel cable, or aluminum pickets. These options provide the support you need without obstructing your picturesque view. If you have any questions about Waterfront Decking in Middle River, please contact Freedom Fence and Home by calling 443-271-6841 or visit our website. When you contact Freedom Fence and Home about our waterfront decking services, you’ll speak with a knowledgeable employee who can answer your questions and schedule an appointment. You can also follow Freedom Fence on Facebook and Twitter! This entry was posted on Friday, January 16th, 2015	at 2:36 pm	. Both comments and pings are currently closed.